Scott Keogh, perhaps more than any other executive, has the shown desire and ability to fix the specifics that ail VW's 645 U.S. dealers. When we look back in a decade or so, my bet is that Wednesday's naming of Scott Keogh as CEO of Volkswagen Group of America will look like the second-smartest decision Volkswagen Group CEO Herbert Diess ever made. The one decision that could turn out to be smarter? If Diess leaves the 49-year-old Keogh in the top job long enough and gives him sufficient autonomy to fix Volkswagen's long-lagging performance in the U.S. and North America. If I were a U.S. VW dealer, I'd be elated and hopeful at the news that Keogh will succeed Hinrich Woebcken on Nov. 1. VW's U.S. dealers have some of the lowest profit margins of any brand in the U.S., according to the National Automobile Dealers Association. As a result, VW dealerships draw little interest from prospective buyers, lowering their blue sky values and leaving underperforming or disenchanted dealers with few means of escape. That is anything but a virtuous cycle. All this is not to say that Woebcken did a bad job. He did not. But like a string of his German predecessors, Woebcken's stint heading VW's North American region was too short to bring lasting change. Woebcken recognized the need to improve the profitability of VW's dealer network as well as the need to give VW's U.S. dealers product prices and incentives that made them competitive with domestic automakers. He implemented the brand's six-year/72,000-mile transferable warranty to put VW back in consumers' consideration conversation. Woebcken also eventually recognized that -- especially in the wake of the diesel emissions scandal and with a lineup of aging sedans -- it was unrealistic to think VW could continue to seek premium pricing. Yet, recognition of problems is one thing. Fixing them is quite harder, especially in a bureaucracy as Byzantine and entrenched as Volkswagen Group's global operations. Keogh, perhaps more than any other executive, has the shown desire and ability to fix the specifics that ail VW's 645 U.S. dealers. If he's given the resources and the commitment from Wolfsburg to do the job properly, VW's dealers stand to benefit most. A good example: A few years ago, Keogh implemented a program at Audi of America -- whose dealers also struggled with profitability -- that let dealers buy program vehicles for their loaner fleets at factory cost. For the factory, the relatively small number of vehicles involved were a wash, but Audi dealers experienced huge positive profitability swings as a result because when it came time to turn over the fleet, they suddenly were able to sell the loaners at a profit. Keogh also recognized and emphasized the importance of customer satisfaction with Audi dealers' service operations. 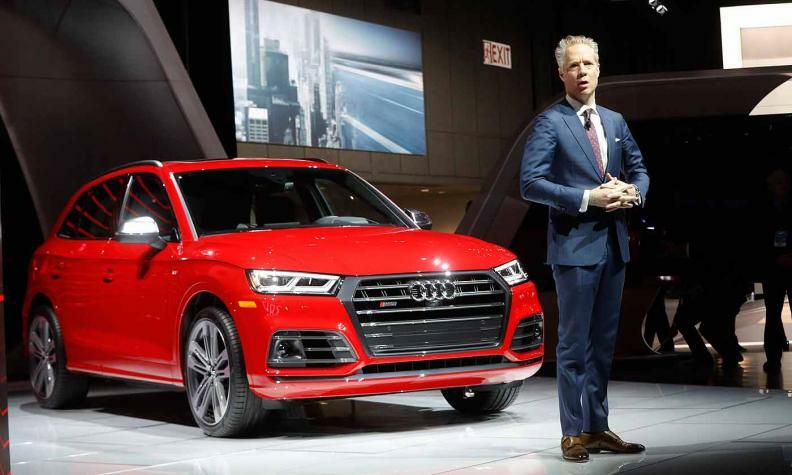 Through a series of initiatives, he and his small management team at Audi of America improved customer satisfaction scores across the Audi dealer network, vaulting the brand into the top three in service satisfaction in the U.S. -- a score where VW noticeably lags. Under Diess, VW has grand long-term plans for its North American operations. The brand believes it can achieve and maintain a 5 percent market share on the continent, well over double its 2.1 percent share. To get there, VW needs to make a number of hard, costly strategic changes. It needs much shorter product cycles. It needs more competitive pricing and incentive packages to compete -- especially in online top-of-the-funnel searches, where brand consideration begins -- with domestic automakers. It probably needs a pickup, albeit one that sets it apart from domestic offerings instead of another me-too product. And it needs a great launch on its coming string of mass-market-priced electric vehicles. Keogh is about as perfect a choice as I can think of to become CEO of Volkswagen Group of America. I just hope Wolfsburg will let him do what needs to be done.